It’s no wonder that parents of toddlers think twice before getting on an airplane. This is not an age when kids are able to sit still for very long – unless they have a lot to do! Here are some of our favorite tips for traveling with our own energetic toddler. We bought these two airplane books, Plane and Airport, for Little M and we read them together in the days leading up to the trip. It’s also nice to take them along so he can point out all the pictures from the book – “look there’s the luggage, the airplane, the pilot!” If you have some extra room, consider taking along a favorite book from home or a new book with lots of pictures! We are all about crayons on the airplane! The best ones are the kind that won’t roll away like these from Stockmar or even crayons in fun shapes, like these car crayons. Don’t forget some paper or these stick-on placemats, perfect for coloring and keeping tray tables covered. 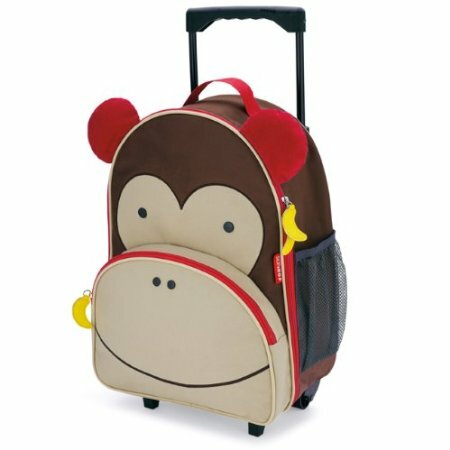 Let your little one feel like a world traveler with his or her own backpack or luggage. We are surprising Little M with this one from Skip Hop for our next trip and I’m sure he will love wheeling it through the airport. Bonus: it has a shoulder strap so parents can carry it when kiddos get tired. I’m planning to pack all of Little M’s snacks, toys and books in here so they are easily accessible during the flight. 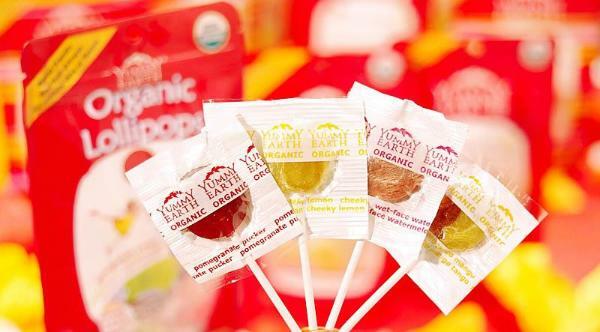 We always take along these all-natural and organic lollipops from YumEarth, they are perfect for takeoff and landing and can keep Little M busy for awhile. They can get messy, but they sure are entertaining! There is something about stickers that can keep a toddler entertained for ages! We take along a couple of sticker books and let Little M go crazy with the stickers. 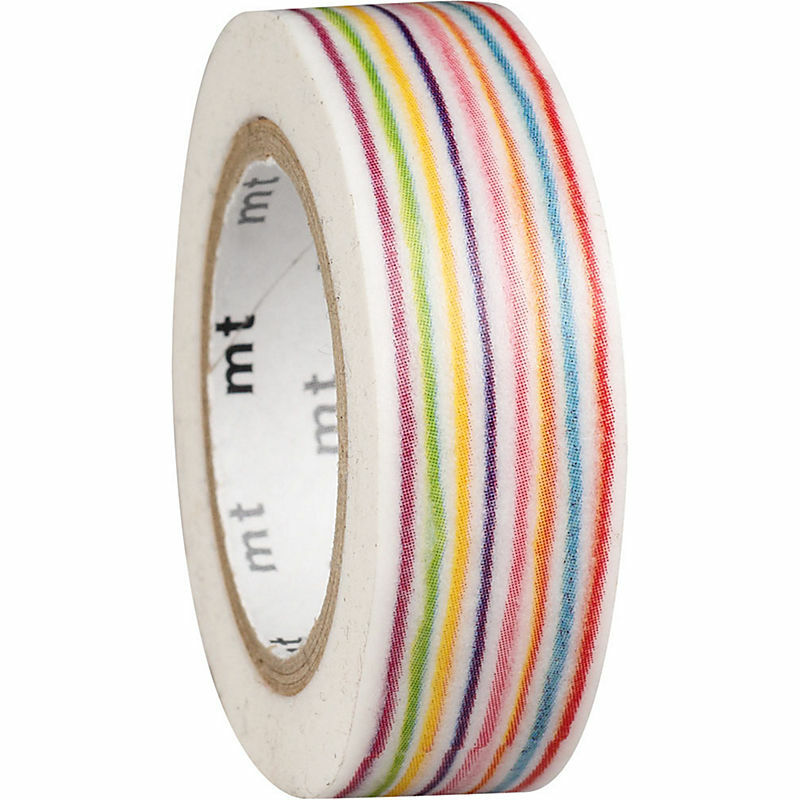 Another great idea is to take a roll of washi tape. It is compact, lightweight and one roll lasts for a really long time. 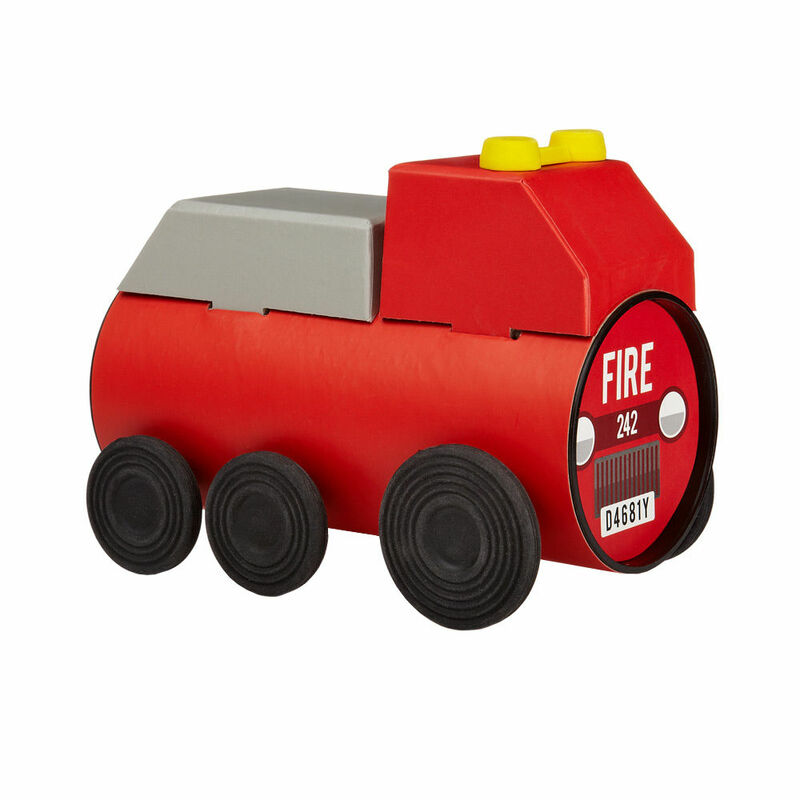 I love the idea of this Tube Toys Firetruck, it allows kids to build their own firetruck from scratch with materials provided in the tube. Not only would the project keep kids entertained while building the truck, I can see Little M spending a lot of time playing firefighter with his new toy. Snacks, snacks and more snacks! We take a variety, so that Little M has some choices and I always try to pack one new snack that he hasn’t had before. 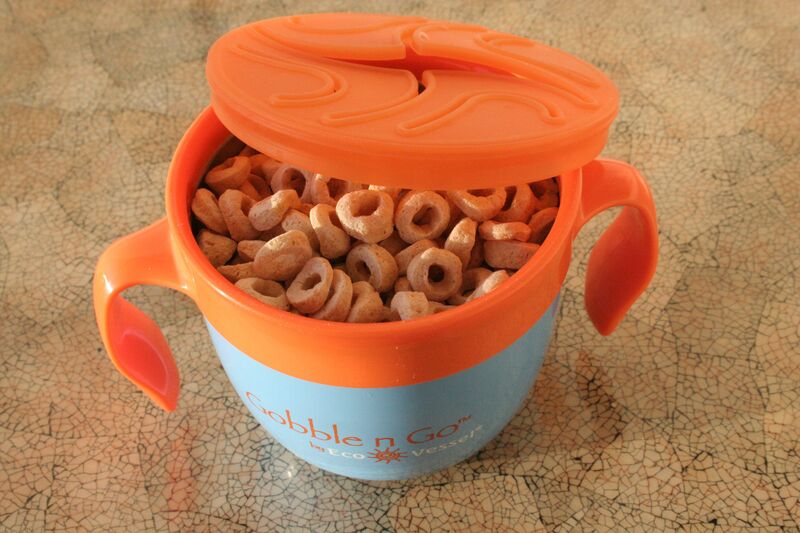 Favorites are cereal, dried cranberries, freeze dried fruits, cheddar bunnies… We carry some in Little M’s favorite snack pod and the rest in individual containers to pull out throughout the flight. We have these organic finger puppets from MiYim and usually take a few of them along on our travels. They are great little toys and perfect for putting on an impromptu puppet show. 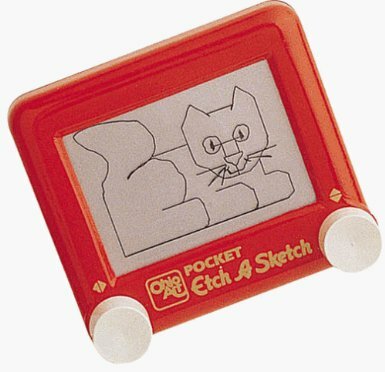 A mini etch a sketch or travel Doodlepro can go a long way in keeping a toddler entertained. Little M loves drawing and erasing again and again. Tegu’s eco-friendly magnetic blocks are one of the best travel toys out there. 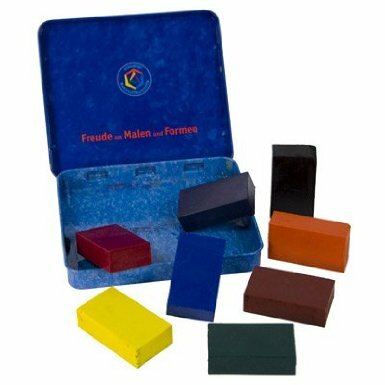 The pocket pouch prism set is great for traveling because it is compact, easy to carry and the magnets ensure that the blocks stay together! 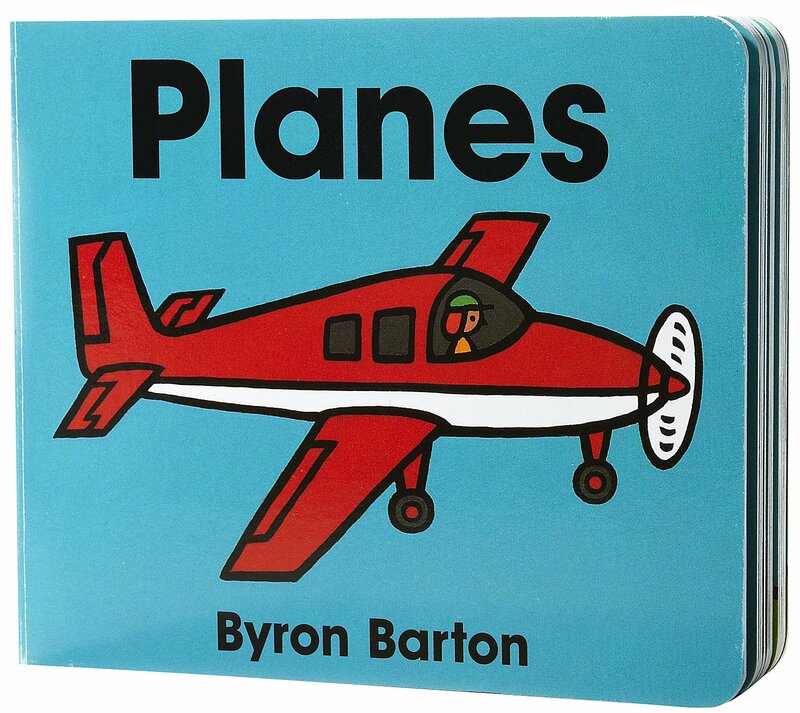 We love Byron Barton books! My son grew up on them. There is actually a wonderful one we have called Airport — I’m not sure if it’s still in print, but it’s perfect for a toddler before they travel/fly! We have the same one! And we love it too!